The piraeus tower competition offered us a unique opportunity to address a building in terms of facade. The structure being previously built and then abandoned before it could be completed allowed us to abstractly think about what the meaning of skin was for a building and its occupants. 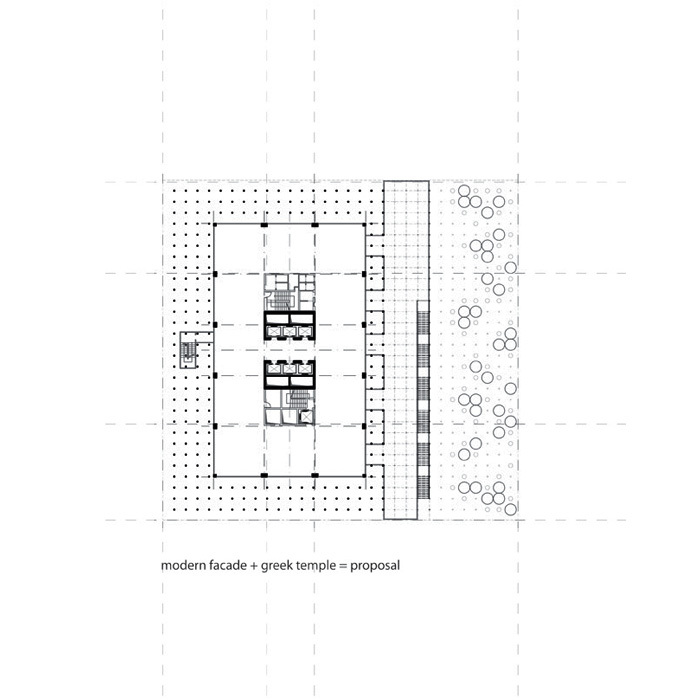 Our interested laid in the relationship of three plan prototypes; the plan of the existing modernist structure, the plan of the ancient Greek temple, and finally the plan of the modern facade (as programmable space). This juxtaposition of formal relationships allowed for a dialogue to be established formally between column, core, and screen. 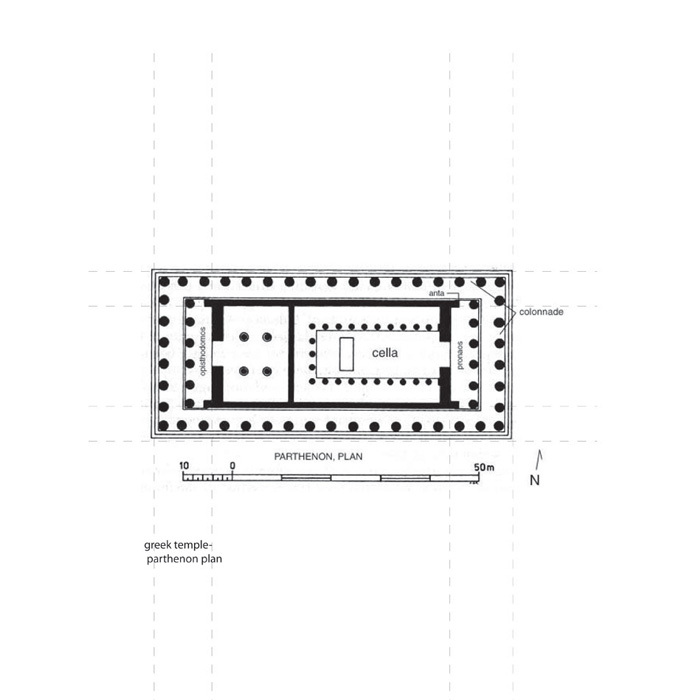 We viewed the basic spatial organization of the Greek temple as a series of screening layers something which could also be found in the core column layout of the pre-existing tower. This relationship allowed us to re-invent our approach to facade, expanding it into a series of colonnades encircling the building, scaled to in order to accommodate program, circulation, sun shading, and exterior space. 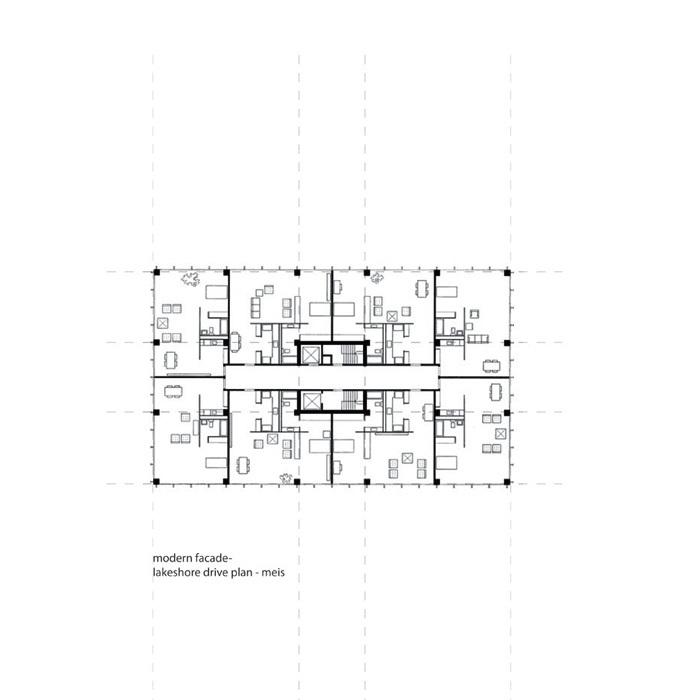 The generation of carved exterior program was accomplished through the playful use of the plan of the Acropolis this being our basic template for the method in which these spaces were generated. This playful approach creates a dialogue with the ocean as well as the city, further emphasizing the iconographic nature of Athens, as well as the region, and architectural references of the country.